Review: The P.O.D. 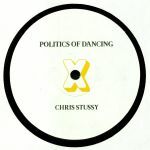 Cross project continues apace with another pair of choice partnerships between Parisian house champs Politics Of Dancing and Chris Stussy on the A side and Sun Archive on the flip. With Chris Stussy, the vibe is understated but driving, with a great emphasis placed on the hooky bassline and subtle dubby chord stabs. On the B side, Sun Archive brings out a more hazy, pad led affair that sounds purpose built for spaced out mornings when the dancefloor wants to feel warm and fuzzy, without losing the necessary energy provided by a sturdy rhythm section. 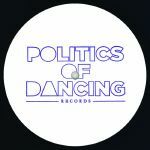 Review: After the success of the first experiment, Politics Of Dancing jumps on the collaboration mission for a second time and invites fellow Parisian dons D'Julz and Oleg Poliakov to get deep in the studio. Bass Culture boss D'Julz takes on the A side, and the results are a sleek, measured trip through minimal house with a dubby garnish. Oleg Poliakov's contribution takes on a woozier atmosphere thanks to a wobbly synth lolling through the track, but of course this is still crisp, functional dance music for the long haul dancefloor. Now we just have to wait to see who POD snap up next. 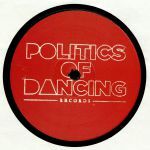 Review: The Politics of Dancing crew are launching a brand new venture here, instigating some choice collaborative action with their nearest and dearest, jammed out and cut to wax for your listening and spinning pleasure. Of course it figures that they'd start this project close to home, bringing in some of their Parisian brethren for two assured cuts of heads down, straight up house music. Djebali lends a hand on the A side, with a spread of swirling pad tones drifting around the sturdy drums, while Franck Roger brings a more flirtatious sound to the B side with playful diva samples and crafty synth lines played out in his inimitable style.